We are proud to announce our partnership in a new venture called Vary Vintage Vignettes. 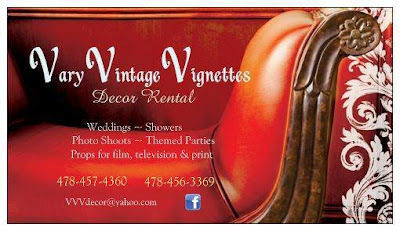 This is a Vintage Decor Rental business. We offer the opportunity for you to rent vintage items at very reasonable rates for your next event. Items in our VVV rental inventory along with items in Booth 4 at OCT will be available for rent. Weddings, showers, themed parties, photo shoots--you name it. We are also currently working on sourcing and providing props for a movie being filmed in Milledgeville--Yep, props for film, television and print are available. We are your go-to source for all things Vintage. If we don't have what you want in our rental inventory we will source it for you. Let's face it-- what would you do with those 30 Milk White vases after the wedding? And what about all those mason jars? Why buy when you can rent? 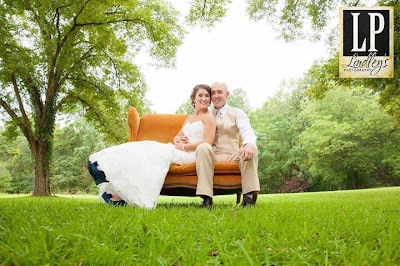 We will work with you and your budget to make your event exactly what you dreamed of. Check out our Facebook Page and contact us today to view our rental inventory-- you will be glad you did!